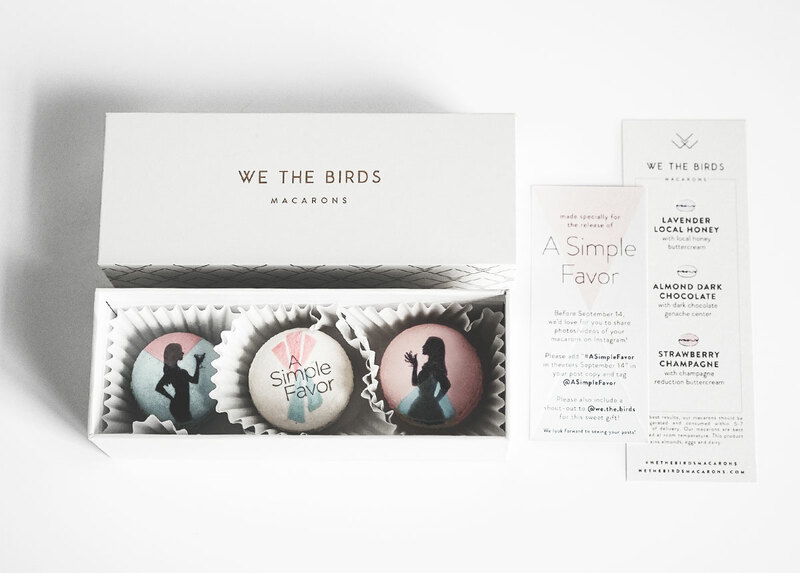 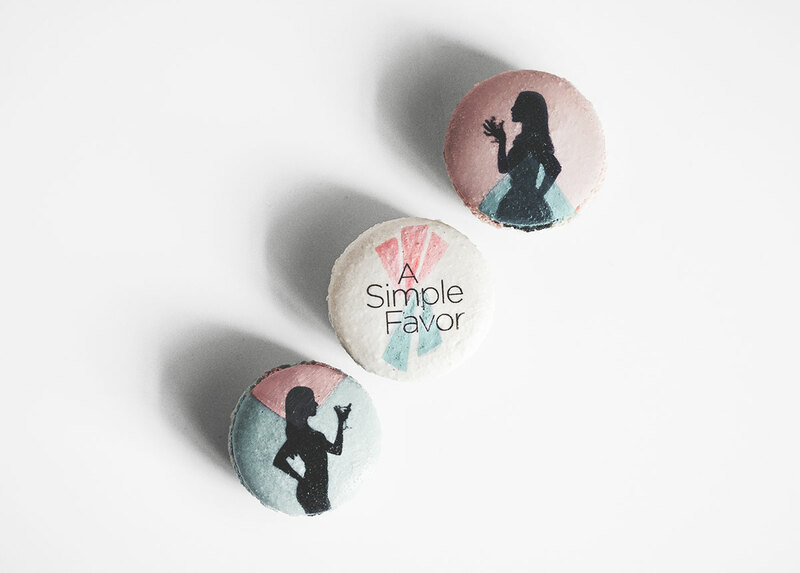 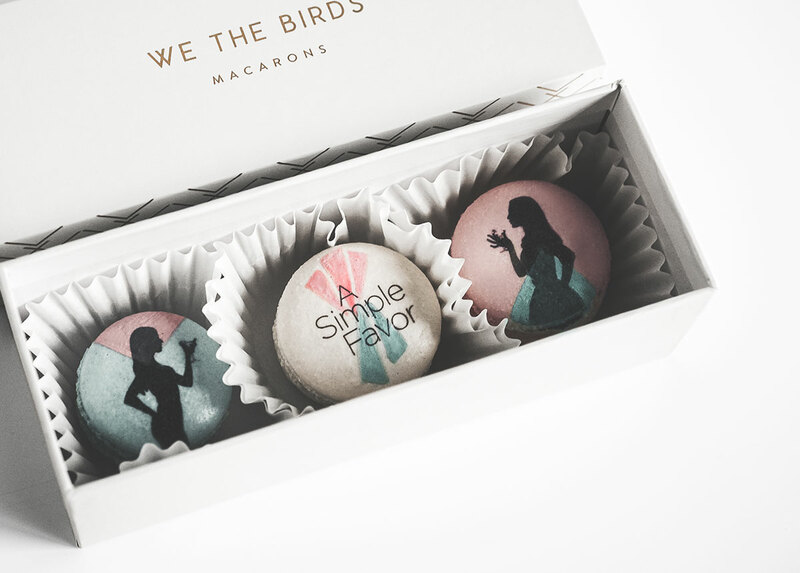 We were asked by Lionsgate to create these special gift boxes to help promote the film, A Simple Favor, locally in Dallas. 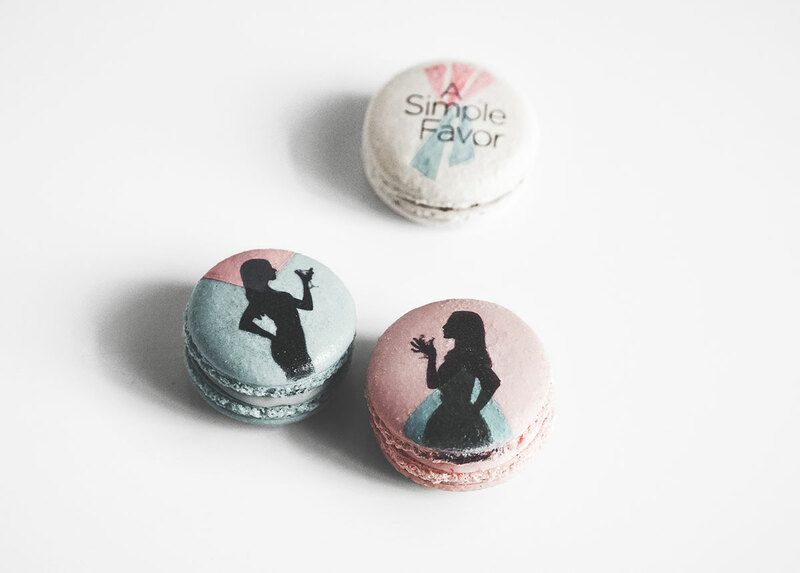 The movie stars Blake Lively, Anna Kendrick and Henry Golding (hot asian from Crazy Rich Asians). 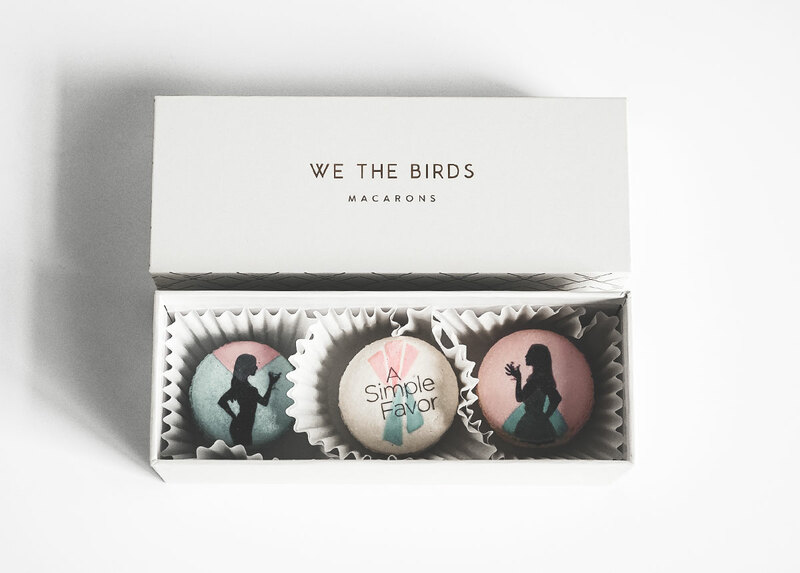 We were already intrigued by this movie thanks to the marketing & trailer, so making these macs was a dream come true!